Its Chinese name is血桐 (literally means “blood tung”) best describes one of its features. 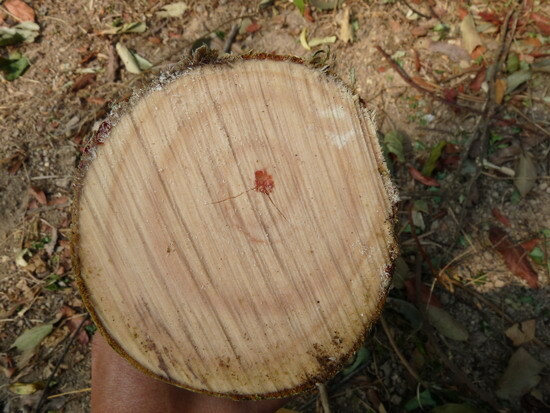 When its branches break, the sap is oxidized and turns red like blood. Whenever strong wind breaks the branches, there will be bloodshed. The public is not familiar with this tree as only a few can be found in the parks. However, Elephant’s Ear is a native species and is common in the suburbs. There are also other trees which bleed. They are: Dragon blood tree (Dracaena fragrans), Chicken blood vine (Millettiae caulis), and Oxblood tree (Pterocarpus indicus, commonly known as Zitan or Burmese rosewood). Elephant’s Ear bleed in the centre of the heartwood; whereas Zitan bleed in the sapwood (near the periphery). 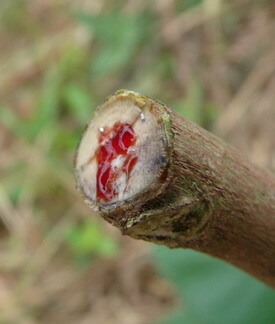 Blood can also be seen on broken boughs or even on leaves. The general damage on leaves does not lead to bloodshed. 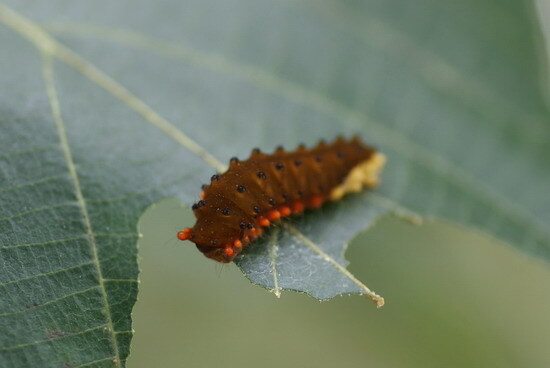 It should be the stimulation caused by eating of mesophyll by insects. 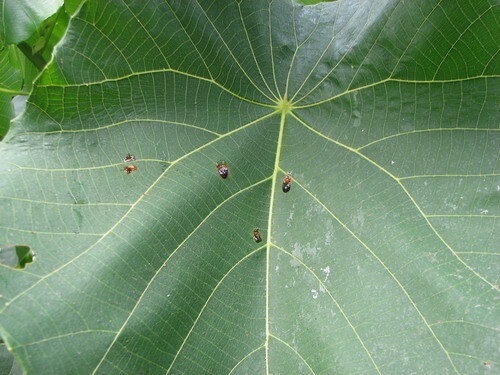 Sap protects the tree against pests which chew its leaves, but pests always have their own way. This worm is all red through. Maybe it has overdose of Elephant’s ear?! In the family of Euphorbiaceae and the genus of Macaranga, there are two more species: Macaranga sampsonii and Macaranga auriculata. 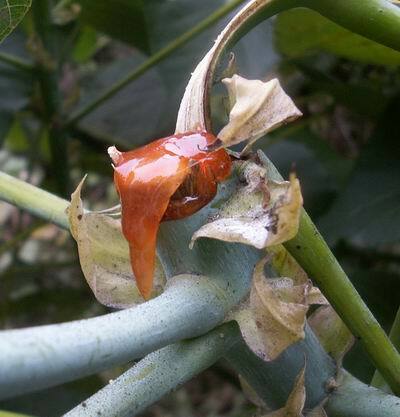 The photo below shows a bleeding Macaranga sampsonii.